Online ordering menu for King's Pizza. 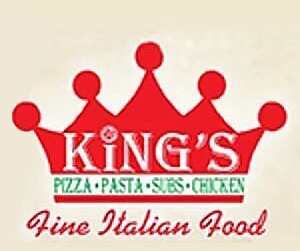 Just minutes South from the University of Ohio and just South of MAPFRE Stadium, King's Pizza strives to give you the best pizza around. But that is not, all we have everything from Pizza to Calzones to Stromboli to Baked Pasta dinners. To get your food to you faster and fresher, we have a great online ordering feature. You do not have to deal with the hassle of calling anymore! So come and pick up your delicious food today!